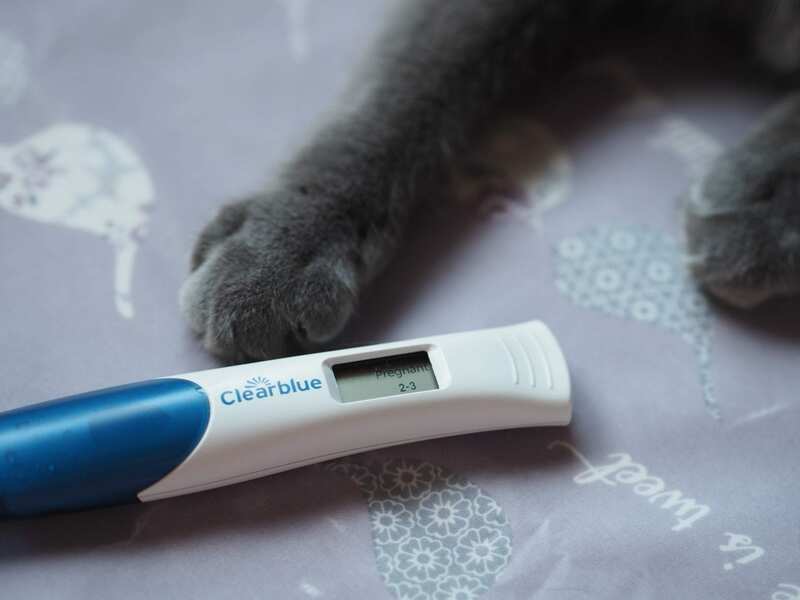 You have just found out you are pregnant and you are thinking about ALL the things you need to buy. As a first time parent it can be easy to get carried away buying things that might seem a necessity when in fact you will rarely use it. Babies can be expensive if you buy all the latest ‘must-haves’ brand new and pay full price for them. Read on to find out how to save money on baby items. Ask other parents if there are any items not worth bothering with. Things like bottle warmers, wipe warmers, etc are probably not going to be used so there is no point in buying those. Moses baskets might only be used for a few weeks. So again it’s maybe not worth buying one of those brand new. For me it was shoes. I bought quite a few pairs of shoes and only one pair got worn once. So to me they aren’t worth buying for the first few months. Signing up to baby clubs will get you some freebies as well as discounts and vouchers. Signing up to Boot’s Parenting Club will give you 10 Advantage points in every £1 instead of the usual 4 when buying baby things, as well as money off vouchers and free items. Cow & Gate will send you a cuddly toy cow, a pregnancy diary plus weekly emails to tell you what to expect that week on your pregnancy. Even supermarkets such as Asda and Tesco have baby clubs too. Look out for Baby & Toddler events in stores such as Aldi, Asda, Boots, Tesco, etc. They regularly have baby items on special offers throughout the year. Mamas & Papas and Mothercare also have Parents to Be events in store where they have expert advice on car seats, first aid, pushchair advice as well as freebies and discounts. I was at the Mamas & Papas Parents to Be event where I received a goody bag that included a bodysuit, bib, rattle, sample of shower gel as well as some vouchers. If you live in Scotland you are sent a baby box from the Scottish Government. 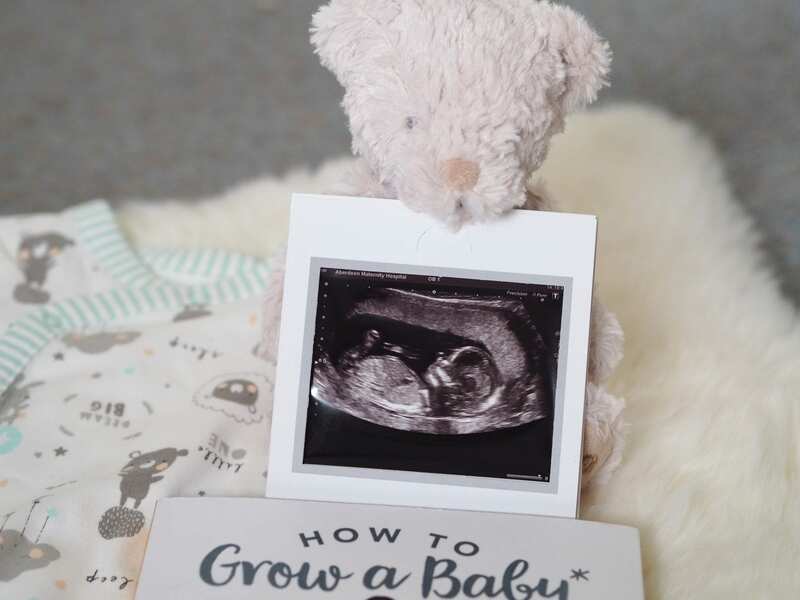 This is packed full with baby items such as clothes, a bath thermometer, ear thermometer, changing mat, hooded towel, muslins, books as well as maternity pads and breast pads for you. Just about everything you need for the first few weeks is in there. The box also comes with a mattress and cellular blanket as it can double up as somewhere for the baby to sleep in the early days. Some areas in the UK can get a baby box from Baby Box University where you watch some videos and sign up for it. Babies aren’t small for very long and quickly outgrow things before they get used more than a few times, if at all. This means that you can pick up baby equipment and clothes in excellent condition for a fraction of the cost. NCT, eBay, Gumtree, local Facebook groups, etc are good places to find bargains. I managed to pick up a brand new isofix base for the car seat for £80 that costs £150 in store as well as a Sleepyhead Deluxe (also brand new) £90 when it’s £130 in the shops, both from eBay. The only things they advise you not to buy second hand is a car seat (unless it’s from someone you know) and mattress. The car seat as it could have been used at a time of an accident and there might be weaknesses in the seat that you won’t know about. The mattress might be harbouring bacteria and if it’s been lying around in someone’s loft then it may also have mould so that’s why they suggest you buy a new one. There are quite often sales or special offers on so you can avoid paying full price for things. Sello has plenty of online deals, for example. When I was looking to buy a Snüzpod they were priced at just under £200 but Mamas & Papas had a £40 off offer if you spent over £200. The Snüzpod was £199.95 so I bought the cheapest thing that I could find (a bib for £3) so I could get the discount. 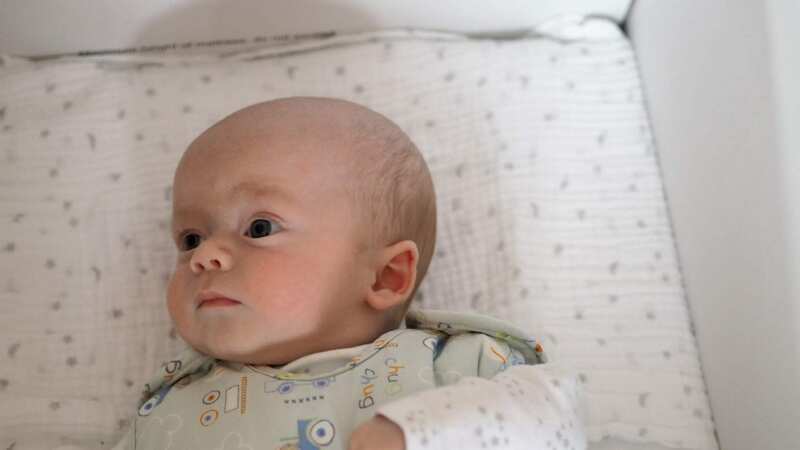 If you do buy the Snüzpod, normal fitted crib sheets that you can buy from Mothercare fit just as well as the Snüzpod sheets and are over £11 cheaper too. Although buying clothes in the sales for the following year is a really good idea be aware that babies can grow very quickly and you may end up with them wearing clothes out of season. I bought clothes at Christmas for Autumn/Winter this year. As he was due in March that meant 6-9 month would be September to December, perfect timing to wear Autumn clothes. Except, he was born over three weeks early in February so he is fitting into his 6-9 month clothes now. We are in the middle of a heatwave and he has mainly hoodies and jumpers in his wardrobe so I have had to buy a couple of t-shirts and shorts to see him through the next few weeks!! You will find that you will be given loads of gifts from people, even from people that you don’t know! We were really lucky and were given gifts from our parent’s friends who we had never even met. I think people look for an excuse to buy cute little baby outfits 😊. Big ticket items such as travel systems, furniture, etc might be bought by family members as they are just as excited as you about the new arrival. This is a huge saving to you if you are lucky to be gifted those. 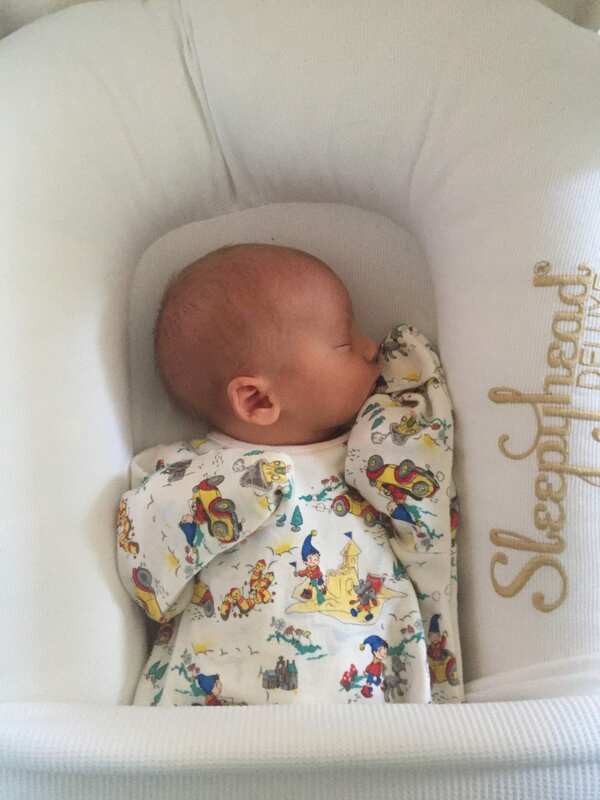 If you do get given a lot of newborn clothes, keep a few items and see if you can exchange the others for a bigger size. They don’t stay small for very long and you will likely find that they will have outgrown that size before wearing everything they received. There are other ways that you can make savings such as breast feeding and using reusable nappies but they are not suitable for everyone. If you do formula feed then there aren’t any promotions on these products nor can you collect loyalty points so it’s just a case of seeing where your brand is cheaper and getting it from there. If you do use disposable nappies then more expensive doesn’t necessarily mean better. I’ve used Pampers and supermarket brands and the best ones that I’ve come across are Aldi’s Mamia ones, they are good quality and also much cheaper than other brands out there. 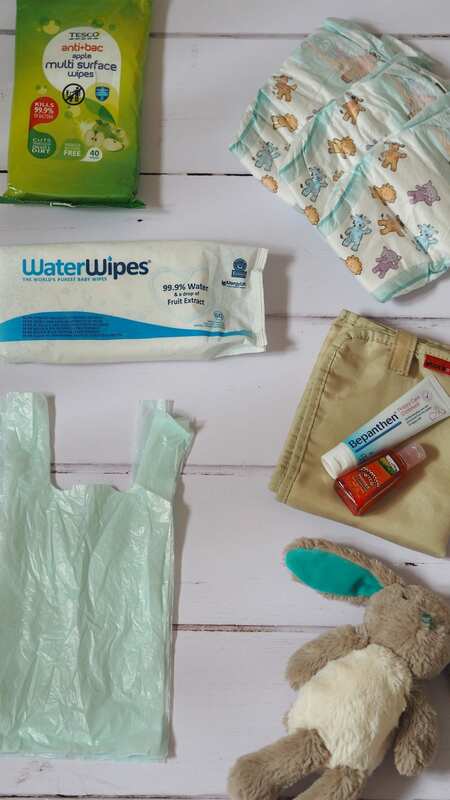 Don’t stockpile nappies, baby wipes, toiletries, laundry products until you know that they are suitable for your baby’s skin so you don’t end up with a pile of products you can’t use due to allergies, etc. 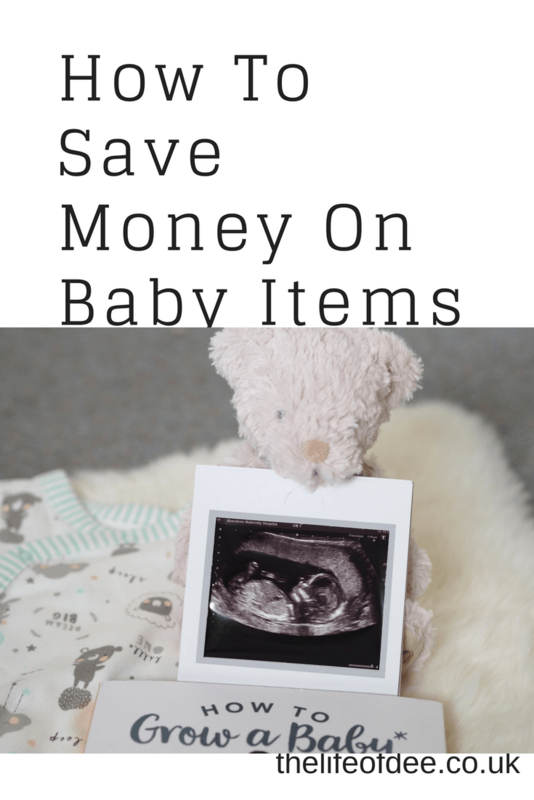 I hope that you found this post on how to save money on baby items useful. I plan to update this post regularly with the latest baby and toddler events so please check back regularly to see when and where the next one is. Some great ideas. I’m all about second hand with my boys, you can save yourself a small fortune! I agree shop around and buy pre-loved, especially for clothes. They grow out of clothes way too fast. I love your other tips too. Thank you 😊 They do grow out of their clothes so quickly as there were clothes that he wore just once and some not at all. When you look back at some of their smaller clothes it’s hard to believe they were once that tiny! Great ideas. Buying preloved is definitely a good idea because they grow so quickly. Love these ideas and tips! Thanks for sharing. Well our daughter’s now 8 so it’s been a while! But you’re so right with all of this. Especially with gifts/being given pre-loved. A bit of disinfectant where it’s needed and you’re good to go… Thanks so much for linking up to #AllSortsofBlogs, hope to see you again! I’m sure it’s all a distant memory for you now 😊 Exactly a bit of disinfectant or a wash and that’s all you need. Plus they are too young to know that someone else had it before them. Thank you! I agree that certain things I wouldn’t buy second hand, such as their cot and pram. We have a cot bed so that will last him for a few years so wanted to buy that brand new but clothes especially are ideal as second hand. Nearly new is definitely a great way to save when you have a baby!